GHAZNI -- Abdul Rahman and his family drove all night in a rented car to escape the "absolute terror" of escalating Taliban violence in Ghazni Province, joining thousands abandoning their villages in Hazara-dominated districts. Many families have fled to the provincial capital, Ghazni City, with some leaving their homes in the middle of the night and traveling on side roads to avoid Taliban checkpoints. Rahman, 65, reached Ghazni city Thursday (November 15) after a grueling 20-hour journey made even longer by their vehicle breaking down along the way. 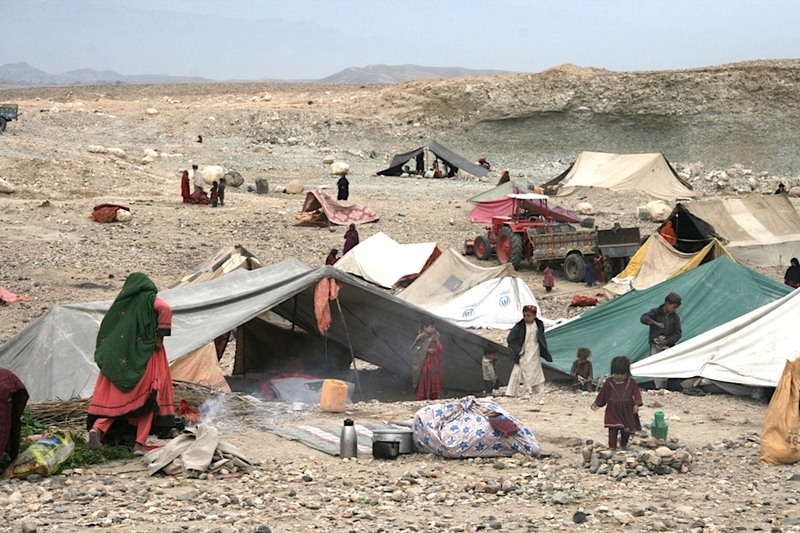 "People have left their homes and are running for their lives from Jaghori District," he told AFP. "It was an absolute terror in our area." Rahman's family is among hundreds of people displaced by intense fighting as the Taliban battle ethnic Hazara militia and Afghan security forces in previously safe Jaghori and Malistan districts. They have taken refuge in Ghazni city's mosques and hostels, as well as the homes of relatives. Rahman said the exodus had pushed the cost of renting a car to AFN 5,000 ($70), a ten-fold increase in a matter of days. "We were scared, other people were fleeing so we decided to leave too," said Zainab, who used one name and drove for 12 hours with her five children on dirt roads from her home in Jaghori District to Ghazni city. "We have never seen this kind of war and my children and I were scared," she told AFP. Zainab's husband stayed behind to protect their property. Jaghori District "is surrounded by the Taliban and there are a lot of them," Mohammad Ali told AFP in a mosque where he is staying with nine family members. "They [the Taliban] were very well equipped with night-vision goggles and heavy weapons." Several thousand more people have escaped to Bamiyan Province, said Abdul Rahman Ahmadi, spokesman for the Bamyan provincial governor. "Almost all the people from my village [in Jaghori] have fled," Nasir Ali, 38, told AFP. He and his family abandoned their home Tuesday (November 13) and went to Bamiyan. Ali and other men from his village had spent several days and nights trying to defend their homes from the Taliban. But "the situation was getting worse day by day and we had no choice but to flee," he said. 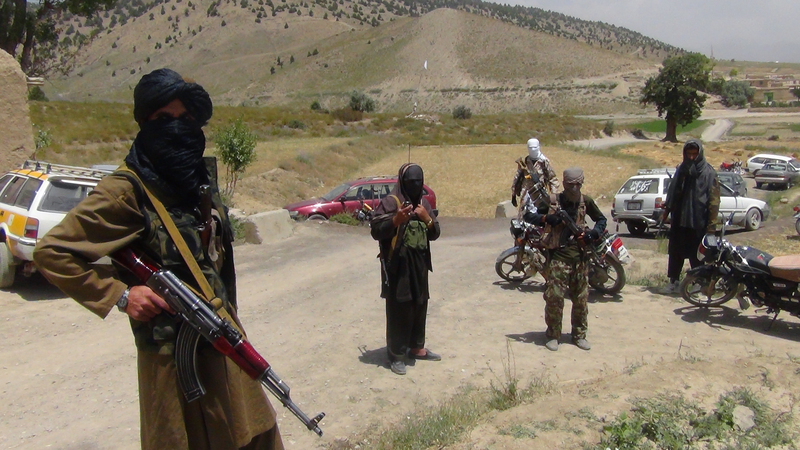 The Taliban fighters began attacking Jaghori and Malistan districts more than a week ago, after violence spilled across the border from Uruzgan Province. "Commando forces have been deployed in both Jaghori and Malistan," Ghazni's provincial police spokesman Ahmad Khan Sirat told AFP Tuesday, adding that the "situation is under control." Afghan forces say they have stepped up ground and air offensives in the restive region, enabled by critical air support and aerial surveillance provided by the US and coalition forces. Hundreds of people, including civilians, militia members, commandos and militants, have been killed, according to figures provided by locals and government officials. 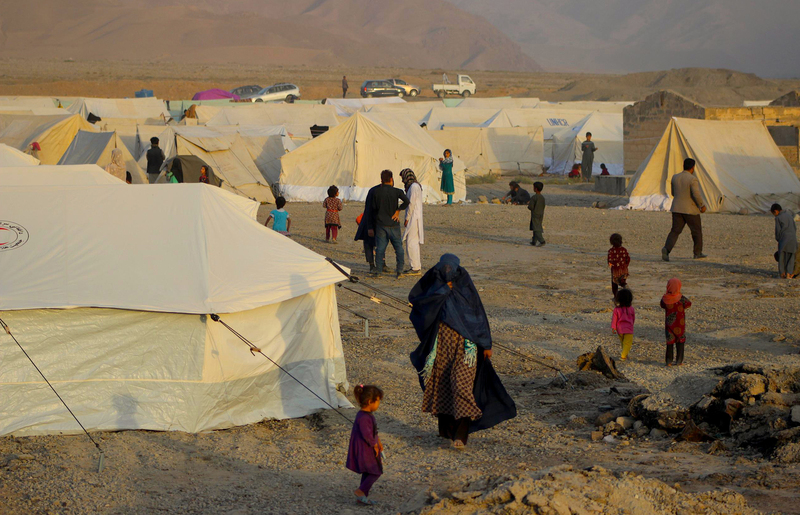 About 258,000 Afghans have been internally displaced since January as a result of conflict, according to the UN Office for the Co-ordination of Humanitarian Affairs. The militant group is also threatening to take down telecom networks as a way to extort people, say officials and residents. Militants from both sides have been killed in the ongoing battles in Nangarhar and Laghman provinces.